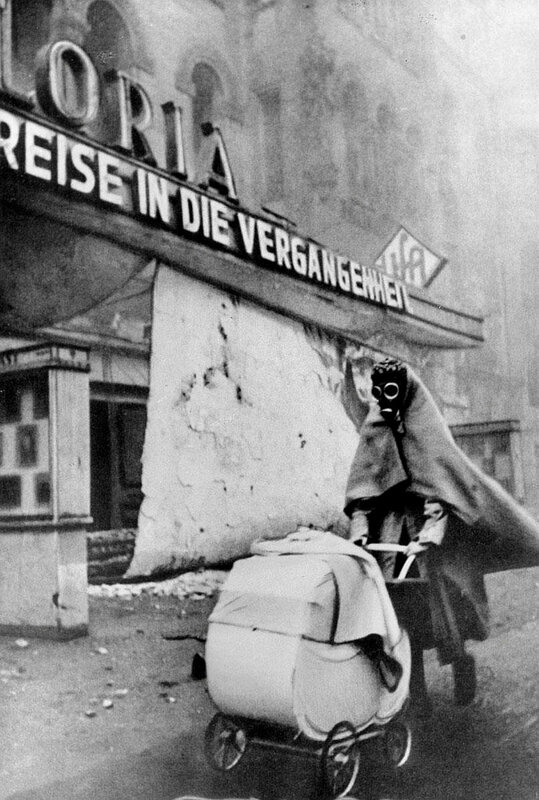 A German woman in a gas mask pushes a pram down Kurfürstendamm Avenue in Berlin shortly after an Allied air raid. Berlin, Germay. 11 November 1943. Photograph by Wolf Strache. ← Iconic photo: This image always give me chills..